Fits Insinkerator type units with 3 3/8" ID as well as most Kenmore® , Kitchen Aid, Maytag , Jenn Aire, and select models of Whirlpool. Will not fit Franke Waste King, or Whirlaway models. 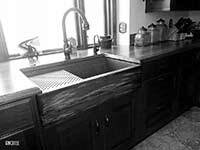 (Insinkerator makes about 80% of all disposals on the market.) Lifetime warranty on copper parts, 1 year mechanical. If you have a Waste King disposal, you will need two parts in order to make it work. You will need the Waste King 3101 ISE adapter kit and an ISE 5298 Flange body. Both should be available for less than $15 total, plus shipping. 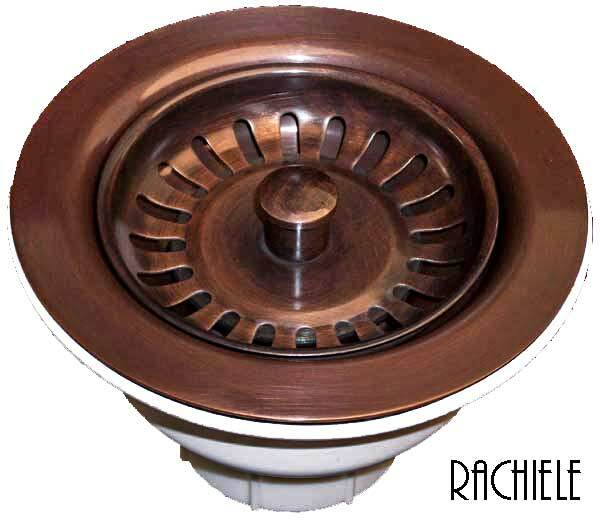 The Evolution Insinkerator has a Quiet Collar Sink Baffle that will make our strainer basket sit a bit high. 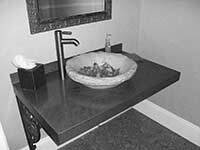 It will function properly, however the strainer will be above the floor of the sink slightly. I suggest the BADGER model for best fit and ease of installation. 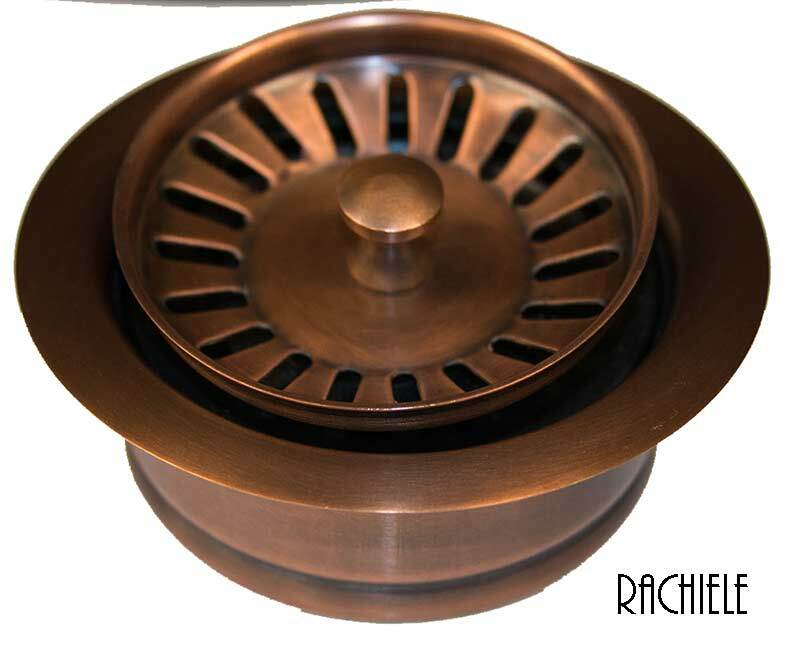 Our solid copper disposal system is designed with a strainer instead of a simple plug. This will give you the option of plugging the drain or gently running water while shucking oysters or other items while letting water flow through while catching debris. The water will not evacuate nearly as fast as removing the strainer assembly. Simply lift and turn the strainer and it will stay in the up position so water will flow. Turn until it drops to plug the drain. 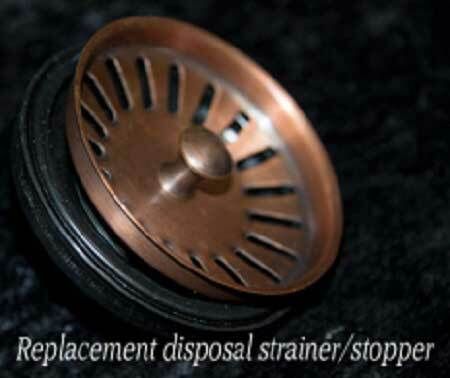 To evacuate water quickly, simply remove the entire strainer section just as you would with the disposal plug that came with your disposal. 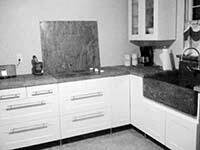 Rachiele is everything you need to create an awesome kitchen design! Buy Now!